Amadablam, prominently known as the “Matterhorn of the Himalaya” is a standout amongst the most ravishing mountains on the planet situated in the Himalayan scope of Eastern Nepal. Ama Dablam describes itself with its one of a kind pyramid shape. The hanging icy mass seen on the southwest face of Ama Dablam look somewhat like the hallowed trimming box utilized by Sherpa Women, which is known as Dablam, along these lines giving it a name as “Ama Dablam” This pinnacle is 6,812 meters in rise from the ocean level. This mountain isn’t noteworthy for its stature yet for its style it holds. Mt. Ama Dablam is situated in the Khumbu district of Nepal, south of Mt. Everest. One should see some stunning perspectives amid the rising to the zenith. The typical rising to Amadablam is done from the South-western edge. This was a similar course took after by the climbers who came to the best out of the blue to the best in 1961. 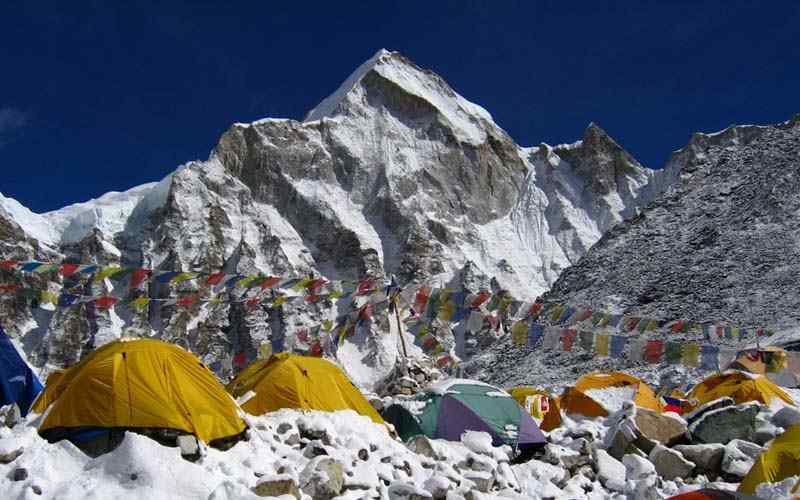 Ordinarily, climbers set up three camps just underneath and the privilege of the hanging ice sheet, “Dablam”. The climb is unassuming up to camp 1, yet the test begins from camp 1 to camp 2 as it gets more specialized in the thin edges of edges produced using stone. 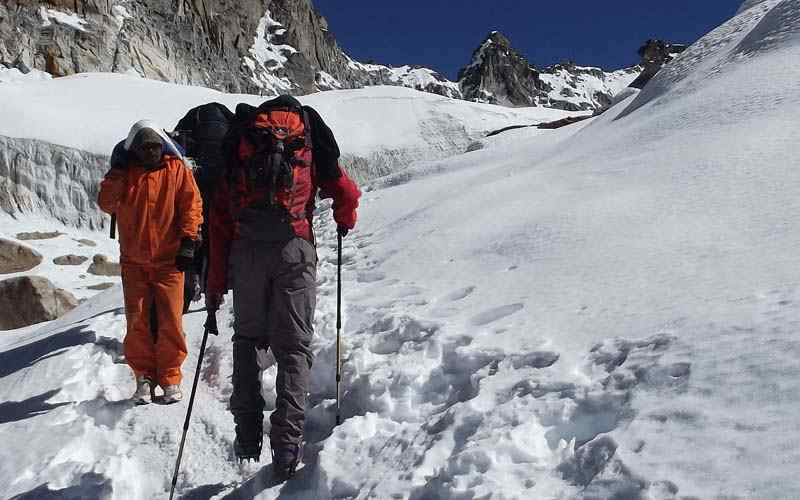 Difficulties are high while moving from camp 2 to camp 3. Some danger of ice sheet falls can’t be gotten away however it is said that, experience without hazard is Disneyland. 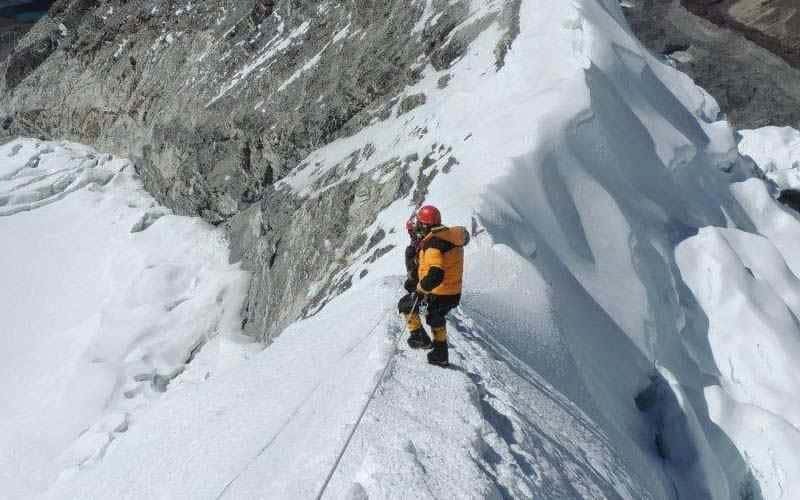 One should prepare himself the aptitudes of shake and ice climbing and become acclimated to high elevation before considering Ama Dablam. 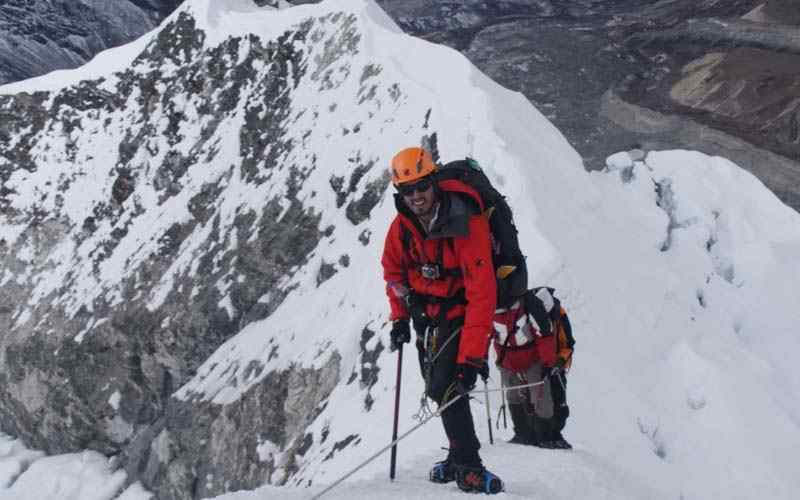 On the off chance that you have previous experience as a climber and wish to participate in a group of a campaign to a world’s most unprecedented mountain, at that point Amadablam Expedition is for you. 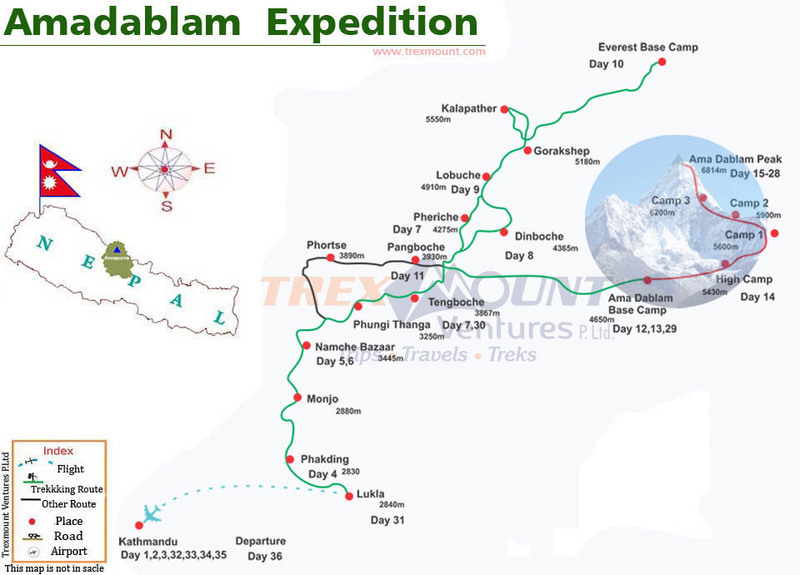 Moreover, Amadablam Expedition is technical and resides on the crossroads of Everest Base Camp Trekking. 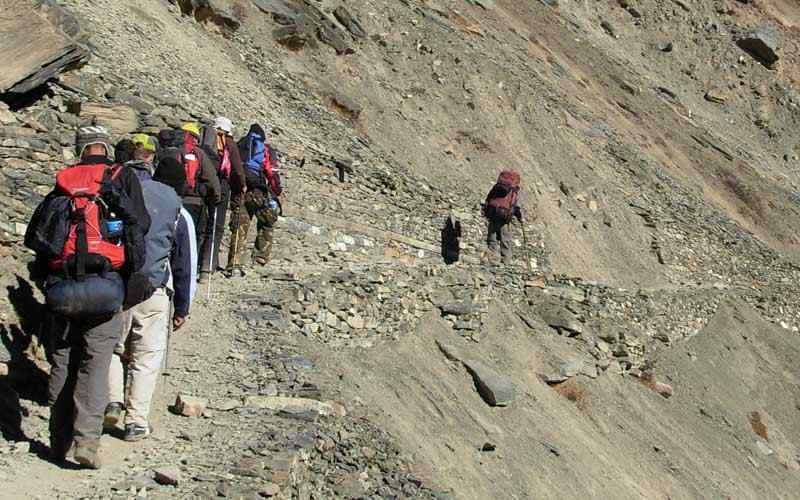 One can witness the magnificence of Khumbu valley along with the chance to conquer the most beautiful peak of the world. 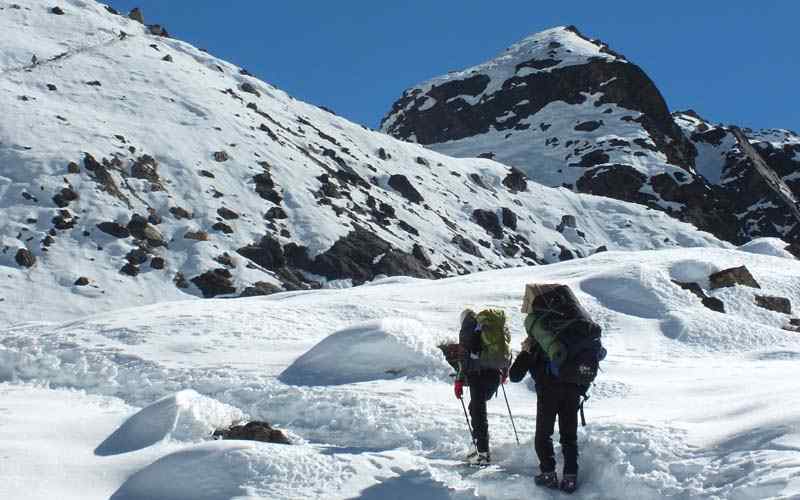 Day 03: Fly to Lukla 2,886m-9468 ft & trek to Phakding 2,640m- 8,661 ft - 04 hrs. Day 04: Trek to Namche Bazaar 3,440 m-11,286 ft - 06 hrs. Day 06: Trek to Tengboche 3,867 m-12,687 ft - 05hrs. Day 07: Trek to Dingboche 4,260 m-13,976 ft - 05 hrs. 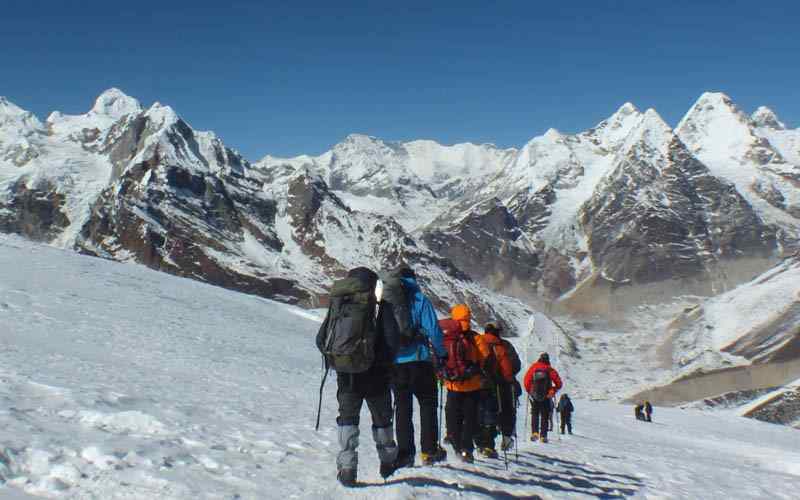 Day 08: Trek to Lobuche 4,930 m-16,175 ft - 05 hrs. Day 09: Trek to Gorakshep 5,170 m-16,962 ft, Everest Base Camp 5, 364 m-17,598 ft.
Day 10: Hike to Kalapatthar 5,545 m-18,192 ft trek to Pangboche 3,900 m-12,795 ft.
Day 11: Trek to Amadablam Base Camp 4,650 m-15,256 ft - 04 hrs. Day 12-24: Ascent of Amadablam (14 days). Day 25: Cleaning up at Base Camp. Day 26: Trek to Tengboche 3,867 m-12,687 ft - 05 hrs. 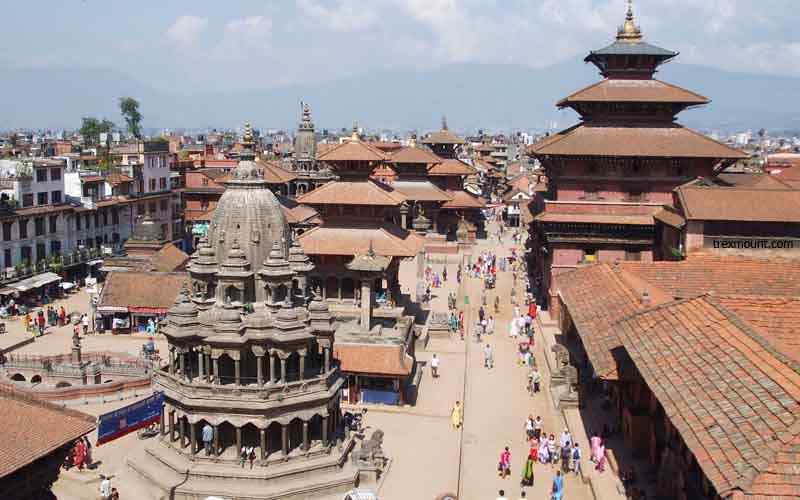 Day 29-30: In Kathmandu with cultural tour at places of interest. Our representative will come to the airport for transfer to the Hotel. After some refreshment in the hotel, Our Tour leader will make pre departure meeting in the Hotel or at our office. The meetings will covers trip related information’s & collecting your Documents (passport copy, 2 passport size photos, Travel insurance). 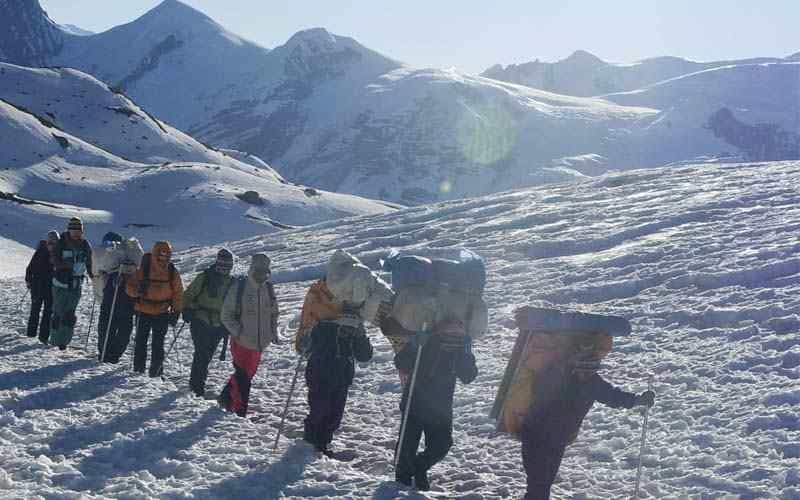 After the first day walk, today the trek could be long as heads uphill at above 3,440 meters high at Namche Bazaar, starting the morning walk crossing few time over the Dudh Koshi, and then reaching at an entrance gate of Sagarmatha National Park at Monjo. After checking the Park & Trekking tickets and permits, further walk leads on the bank of the river, then after the last high bridge an uphill walk for few hours all the way to Namche Bazaar, here we will have two nights in this large prosperous trading town –village as well the main centre and capital of Khumbu area with facilities of ATMs, Cyber cafes, stores, shops, restaurants, banks and fresh bakery with busy colorful interesting Saturday market. An ideal and perfect place for rest day for acclimatization, at Namche take a short hike up to park museum which houses great range of information from mountaineering, flora – fauna and Sherpa culture and religions, this scenic spot offers a grand panorama of high snow capped mountains including Mt. 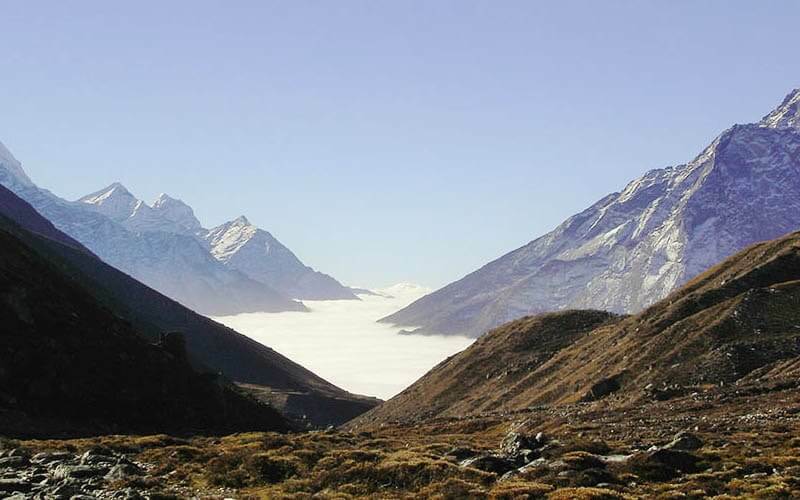 Everest and stunning Ama Dablam, other options hike to Everest View Hotel for another beautiful views of the surrounding mountains above old Syangboche air strip. For energetic people can take a walk of few hours visiting the sleepy Khumjung and Khunde located on a glacial valley beneath the majestic holy peak of Khumbila the patron god of Khumbu. After a good rest and acclimatization, morning starts walking along a gradual winding wider nice path, maintained by old Sherpa man since last 2 decades doing it voluntarily for goodwill to mankind with small funds and donation from the trekkers passing on this route, walk gets better through conifer and rhododendron woodland, with the striking views of Amadablam, the walk further offers striking views of Mt. Everest, Nuptse, Lhotse, Thamserku and Kwangde peak, then the path descends towards Imjatse river at Phunge Tenga, after a rest here on the uphill path through a nice serene forest to reach at Tengboche Monastery. 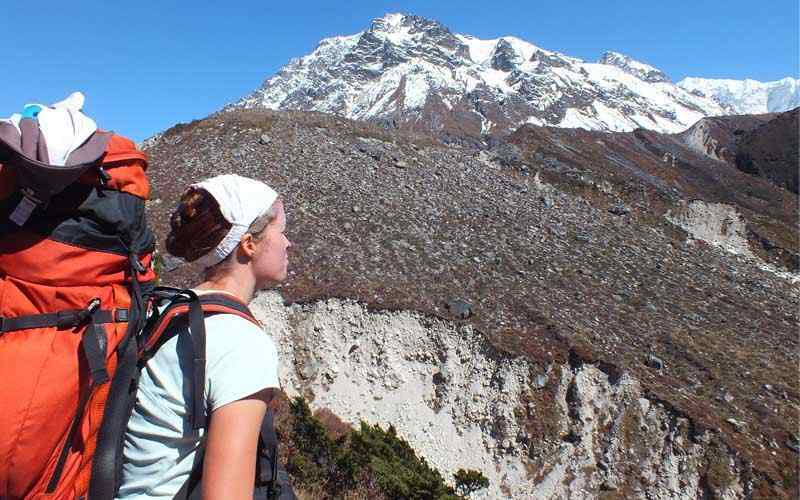 A scenic spot with awesome views of Amadablam, Kangtenga, Thamserku, Kwangde and Mt. Everest, this place is also a holy spot as the head lama (Rinpoche) of the monastery resides here. In this monastery, mountaineers take blessing from the high lama priest for better success and safe expedition. With glorious morning views, morning walk leads to a long descend to Imjatse rive passing a small place of Debuche, walking into beautiful birch-rhododendron and pines forest, on reaching the strong steel bridge where the tree lines vanish for smaller juniper and rhododendron bushes, after the bridge a slow climb to reach at Pangboche the last permanent village, beyond are just settlement with lodges to serve trekkers. The trail leads slowly through exposed landscapes with excellent view of Amadablam at close distance, on the way back after Everest base camp our route leads from Pangboche to Amadablam base camp. After Pangboche stopping for lunch break at Shomare, a popular spot for lunch and short break, after lunch on the gentle uphill for few hours and then climb after the bridge for short while to reach at Dingboche located in the wonderful Imjatse valley, after a nice pleasant trek walk of the day. On leaving Dingboche, taking an uphill path to reach at a ridge festooned with prayer flags and stupas, with excellent views of the valley and snow capped peaks, walk is gentle on the slow uphill slope all the way to Thugala for lunch a small place where the Khumbu glacier melts into a raging icy river, here the trail from Pheriche and Dingboche meets, here with stunning view of Taboche, Cholatse, Lobuche, Pumori, Ama Dablam, afternoon an hour to a ridge with many memorials of the late climbers both foreigners and Nepalese mountaineers. From here a pleasant walk but catching slight of altitude as it leads to Lobuche for overnight stop. Walk this morning can be long to Everest base camp our main destination and highlights of this adventure, taking a slow walk reaching a path close to Glass Pyramid house, a metrological station funded and run by Nepalese and Italian scientists, from this spot a small steep climb reaching at Khumbu glacier, as the walk leads through over moraine of rocks and small icy streams to reach at Gorakshep with views of Mt. Pumori, Lingtrin, Khumbutse and Mt. Everest. After a break here continue walk to Everest Base Camp along the moraine and ice, on reaching at Everest Base Camp after a tiring but exciting walk, enjoy the break overlooking tip of Everest with tumbling Khumbu ice falls close to base camp, around high season for expeditions, this place will be like a Jambore with many colorful camps and busy. After a great moment feeling high return journey back to Gorakshep for another adventure climb to Kalapathar next early morning. Getting up early morning, trek and climb on a steep uphill to Kalapatthar for stunning panorama view of Mt. Everest with array of surroundings peaks, this will be the highest point of this great adventure at 5,545 m, after a thrilling and breathe taking scenery, downhill walk to Gorakshep and then continue the return journey all the way to Thugla through Lobuche and walking on the flat Pheriche valley, a nice settlement just near to Dingboche over the hill towards east, this place with many good lodges with HRA (Himalayan Rescue Association) medical post with superb views of Taboche, Cholatse, Amadablam. After Pheriche a pleasant walk with few ups to encounter and finally on the downhill much of the way to Pangboche village for overnight stop and last night in the comfort of lodge for about two weeks, as from here to Amadablam base camp in tents and camping facilities. From Pangboche village, morning starting with a downhill towards Imjatse River and crossing a small wooden bridge, and then a steep climb of 30 minutes, leading to a large summer pasture with few yak herders huts, from here on a gradual uphill trail to Amadablam base camp, where our expedition and climb starts, base camp located on a large field just beneath towering magnificent Mt. Amadablam. During these 14 days all members will be engrossed in packing, dividing loads and checking equipment for the final summit bid. 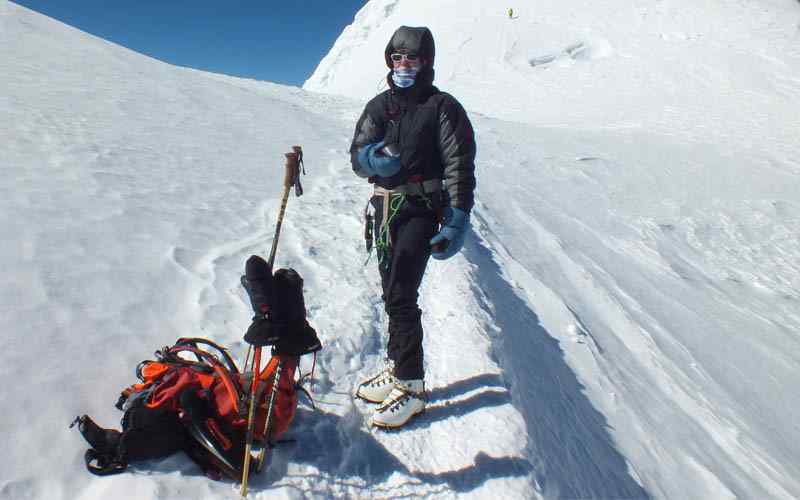 It is hard to predict the exact day for the summit bid during these 14 days itinerary for the climb. While our guide and team member will make the route and fix ropes and carrying loads up to next camps. From this route Ray Delaney from USA climbed the South West ridge of Amadablam with Joe Simpson from UK in April 1990. Route description as follows, from Base Camp following an old grassy moraine ridges roughly eastwards to a broad saddle from one can see a Mingbo-La. From the saddle turn north and climb up rocky ground and finally through boulders to the ridge below Pt.5, 705 which is the site of camp I. There are four or five tents platforms. From Camp I: Cross a rocky bowl (tricky if snow covered) until below two rock fingers, then move on to a ridge proper. Climbing the ridge involves rock climbing of severe standard with steps of VS (USA 5.6) Camp II is at the top yellow tower, which gives one of the hardest pitches on the climb at VS/Hard VS (5.8). From Camp II:Skirt a red rock bluff on the east and follow a ramp line to a gray tower. Move into the ramp (some stone fall danger) and climb to an amphitheater. 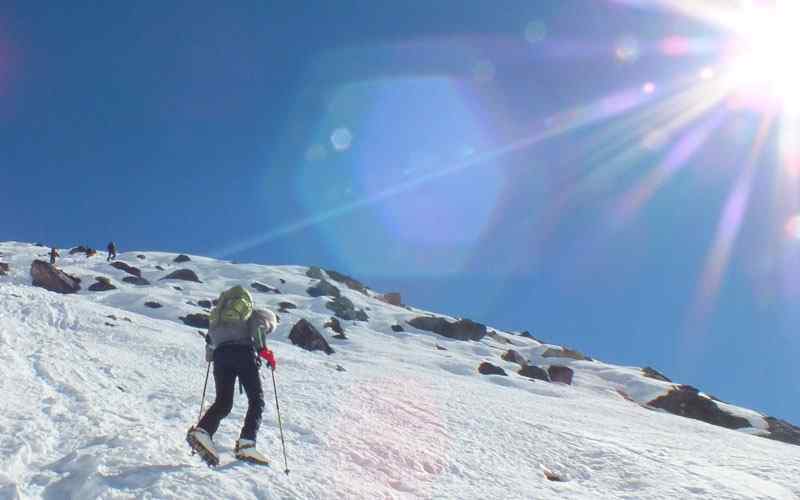 Continue up a broad gully on between the gray tower and the lower rock buttress and climb a snow slope to ‘ Santa’s Grotto’ at the start of Mushroom ridge. Possible bivvy site Follow the mushroom ridge to a crevasse in the upper face, which offers another good bivvy site. Climb the snow/ Ice slope to the right of the face, and then follow mixed ground to the top of the highest hanging glacier. An ice crest now leads in a magnificent position to the summit. Super Views! All need to be back at base camp by Day 21-22. At this point the porters will arrive for our walk out to Lukla. Today after regaining energy back after the hard climb, everyone will be engaged cleaning up the base camp and packing including waste or unused batteries back home. An extra day to re-organize camping and climbing equipment, clean up the rubbish, picking up everything that has been brought leaving nothing except foot prints behind, collected rubbish to bring it back and to be handed to SPCC (Sagarmatha Pollution Control Committee) or to bring back to Kathmandu this is important to collect the garbage deposit money back. After a great tiring and adventurous climb of Mt. Amadablam, from the base camp a pleasant walk with few ups on route to Pangboche to reach at Tengboche, the path leads downhill much of the way through Pangboche village on reaching a bridge with a climb back into the woodland area to Tengboche for overnight stop. Today the last of this great adventure and trekking ending at Lukla, the walk leads on the easier path after being on the high hills and valley, reaching Lukla with a last climb for 45 minutes, at Lukla for lunch and last overnight stop, with free afternoon and to organize gratitude and farewell dinner with fellow staff and porters. At Lukla the flight operates from early morning to Kathmandu, sometimes the flight time can get delayed due to unfavorable and bad weather, as per the flight time board in a small Dornier or Twin Otter plane for the scenic flight back to Kathmandu, on reaching at Katmandu domestic terminal Trexmount Ventures staff transfer you back to respective hotels in the heart of Kathmandu around Thamel area. This two days reserved in case of flight delay in Lukla due to unfavorable weather conditions, on this two extra free day you can book for sightseeing tour, in our interesting cultural heritage tour around Kathmandu, Bhaktapur and Patan this cities full of world heritage sites, however some of them been damaged from recent earthquake, on this free day with time visiting ministry of tourism to submit the climbing report to respective government department.